Theo Epstein and Ben Cherington discussed potential new managers for the Red Sox before Theo left for Chicago. So, they're working off similar lists of candidates. For sure, I'm biased, but why in the world would someone choose Boston over the Northside of Chicago? 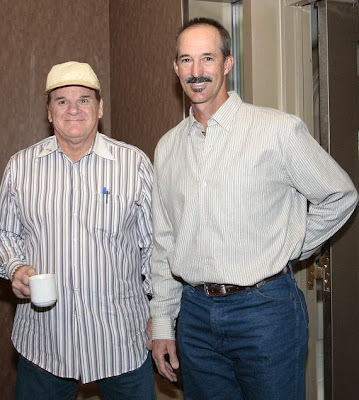 Mike Maddux would be great for the Cubs if he can convince his brother, Greg, to stick around as an advisor. What a great staff they would have if they can count on Theo Epstein, Jed Hoyer, Jason McLoed, Randy Bush, Tim Wilkin, Oneiri Fleita, Greg Maddux, Mike Maddux, and the rest of staff. Junior Lake, the Cubs' shortstop prospect, has taken the Arizona Fall League by storm. Through 21 games, he is hitting .315/.365/.618, with 5 homers, while leading the league with 14 extra base hits and 16 stolen bases. Has anyone else taken notice at how horribly wrong the Orioles GM search has gone? They have known for months that Andy MacPhail was stepping down, and yet they are still nowhere near getting a replacement. No-one wants the job because working for Peter Angelos is about as much fun as a root canal. No-one wants the job because they are clearly the 5th placed team in a 5-team division, and while the other 4 teams are trending upward, the Orioles are not improving. No-one wants the job because Buck Showalter has almost unprecedented power as the Manager - even with authority to recommend who should be the new GM - that it's an uncomfortable position for a General Manager. The next GM of the Baltimore Orioles will have less autonomy than any other GM in baseball - aside from maybe Michael Hill of the Marlins, who is never head from, as Larry Beinfast seemingly pulls all the strings. It's sad. I'm not much of an Orioles fan, but they are a classic franchise and shouldn't be relegated to the lowermost position of the American League, even if their owner is a sleazeball attorney with no acumen for fan pride or customer relations. At least I am not an Orioles fan. If I were, I would #OccupyEutawStreet and provide free t-shirts and ramen noodles to anyone else who'd try to unseat Peter Angelos. Is Mark Prior still property of the Yankees? This is one of the worst free agent classes I can remember, as there are very few blue chip opportunities, and a bunch of "no thanks" type of guys who are barely above replacement level. In fact, I think only about 4 or 5 guys are really, really good, and only about 20 or 25 guys are even relatively appealing to pay over $5 million per season. Chien-Ming Wang got $4.5 million for next season from the Nationals. Amazing. I guess that's what a ground-ball rate over 50% and a 16/0 K/BB ratio in your last four starts of the season can do for you. Let's call it Men's intuition, but I feel that Jose Reyes will end up back with the Mets after being unimpressed by what he hears from other teams. Where is Prince Fielder going to end up? Traditional big spenders like the Yankees, Red Sox, Phillies, Tigers, and Mets surely don't need him. The Brewers won't afford him, but I can't place where he'll end up. The Nationals? It's hard to believe that the Nationals might get who is potentially the best free agent this offseason, but I can't see him going too many other places. Maybe the smart money is on the Rangers getting the Prince. That would be something. If you are like me, and you like anticipating the hot stove, and predicting who will end up where... or, if you just like to enter contests to win prizes, MLBTradeRumors is holding a free contest on predicting where their top 50 free agents will end up. Read more about the contest here, and good luck!